Going green when thinking about exhibiting is a great way to be conscious about the effects your industry has on the environment, as well as great selling point for companies looking to engage with an ever-growing Eco-friendly consumer market. Massive corporations are being put under pressure to green-up their act and better consumer insight because of the internet has created a new Eco-marketplace where price comes second to sustainability. These large global businesses do not just implement green tactics when it comes to materials or energy use, they consciously advertise this fact at any given opportunity. 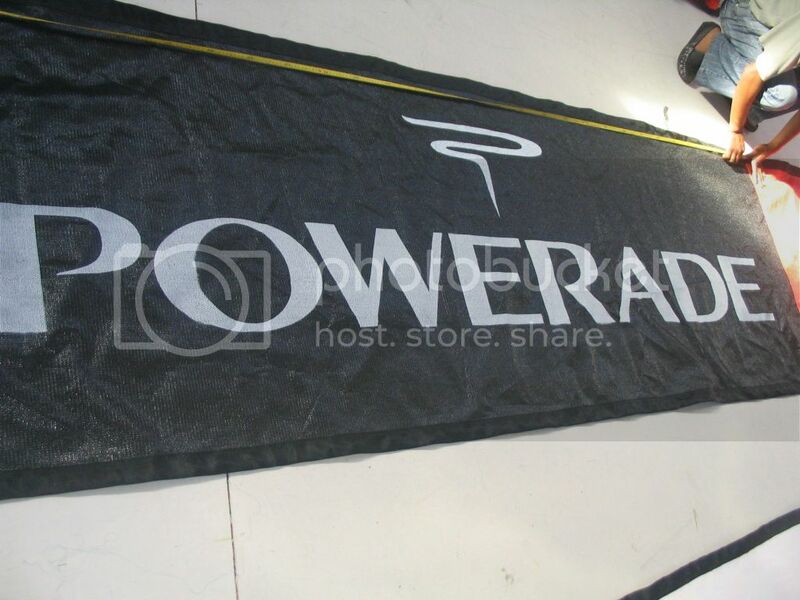 Printed shade cloth, by Printed Shadenet Solutions, is a great medium for companies in all types of industry to advertise with, at a range of different outdoor venues and events. Made from a petroleum by-product called HDPE (high density polyethylene), Printed Shadenet Solutions cloth is durable, versatile and reusable - giving you a long-lasting branding solution that has a number of different uses. Easy to setup and easy to take down, transport and store, printed shade cloth has been successfully used by construction companies and sports companies for many years. Physical outdoor marketing has been shown to provide better value for money than television and radio, partly down to its re-usability, which is why you need a high quality material. Long lasting cloth made from HDPE, is perfect for printed shade cloth, but is actually not used by many shade cloth printing suppliers, for the simple reason that dyes cannot adhere to its slippery surface. Most suppliers use the more expensive and weaker PVC (polyvinyl chloride) cloth, unlike Printed Shadenet Solutions, who use a specially formulated ink which can stick the the oily substrate - giving you a better product at a better price. If you are interested in greener advertising products then visit the Printed Shadenet Solutions website to find out more about their great printed shade cloth products. Packed with extra information, pictures of their previous work, as well as contact and order details, the Printed Shadenet Solutions website is the perfect place to start you search for green alternative marketing solutions.